This is the recording for all those who come to us after our concerts and ask for only one CD which is the best or contains songs from the gig. This is the recording for them, even though it is neither the best nor does it contain the concert material. However, this is the only compromise we can reach at the moment between "the best of", "the greatest hits" (which are, after all, not always "the best"), "anthology", our humble opinions, and the tastes of more than a thousand net surfers who during three summer months selected 10 out of 120 songs from our 8 previous albums. Thanks a lot and welcome to the musical journey with, we hope, many pleasant surprises. 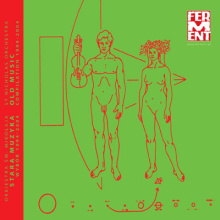 This CD was attached to the issue of Ferment (Polish music journal) devoted to the St Nicholas Orchestra. The other CD attached to it was the Orchestra’s 10th album, New Music.